This may not come as a surprise that doors are dangerous for children. Children, while growing up, tend to be curious about the things around them – especially those that are moving such as doors. When doors are left unopen, toddlers may play with it which may result to unwanted incidents. Such incidents may cause for children to be brought to hospital to tend to their wounds since their body is still in the process of development and cannot endure strong injuries. However, this can be prevented through various childproofing of your doors such as door stopper, door closer. The easiest way to childproof a door, is of course, keeping it locked and/or close at all times. Alternatively, you may use some childproofing materials to ensure the safety of your children. These soft-foam “C” shaped objects can be placed on the outer edge or top of your door that will prevent the door from closing. Another childproofing door lock to invest in is the Door Monkey Door Lock that can be place on the side of the door and can be used as a door knob or lever handle. This will keep from your children’s finger from getting stuck or children from getting locked out of the room because it’ll keep the door slightly open. Perfect for any kinds of door since it is adjustable and customizable on any type of opening, Door Buddy Lock can keep the kids in the room and can also let pets (e.g. cats and dogs) in. Due to its strong hold, parents can use to latch and unlatch it while keeping the kids inside the room. This is ideal on bathroom or laundry areas so it can prevent children from touching things or slipping from wet floors. If you’re on a budget, you can use your old hand towel on top of your door which can prevent children from getting their hands or fingers hurt or getting themselves locked in. You can use this improvise if in case you are still waiting for your childproofing door devices to be delivered. This childproofing door device is good for kids who are just learning to walk. Its rounded, plastic pieces need a lot of force and effort to squeeze and turn the door knob. Aside from the fact that it is cost-effective, you can also detach and bring this whenever you are on a vacation or visiting a relative to place on the doors your child might be sleeping in. Commonly used by any parents, hexagon gate is a great item to keep your children safe. Since it is a portable gate, you can bring and place it anywhere. Hexagon Gate helps in keeping your children from reaching any areas of the home that may cause them danger while you do your household chores. Pool Noodles on the other hand are use as door stoppers. All you have to do is cut the noodle in half or fourths and stick them high on the edge of doors to stop it from closing. Another alternative, the empty rolls of toilet paper can be use to childproof your door by cutting the cardboard then fitting it over the top of it rolling it up and using the duct tape to keep it in place. However, it is still ideal to purchase childproofing devices that can last a long time. Since most doors have locks, it may be wise to either remove the lock portion or swap knobs for something that cannot be locked. 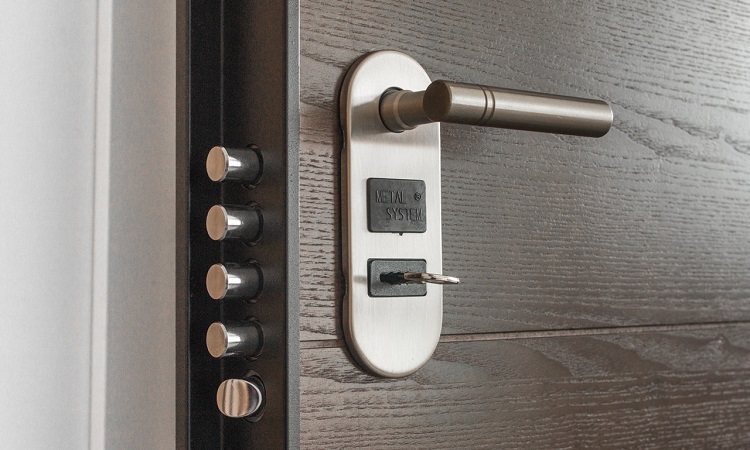 Kids can be very curious with the locks that they may either lock themselves or any of your family members or guests. Some parents also utilized latched style doors. Installing it high up on the door can let the kids play around the halls without them playing with the door and getting themselves pinched since they would be unable to open it.